In this week’s episode of the Lacrosse Classified Podcast, Shawn Evans of the Buffalo Bandits and Dan Dawson of the San Diego Seals join Jake Elliott and Evan Schemenauer as guests. But first, we discuss the history behind the Haudenosaunee Iroquois national anthem and whether it should be played at NLL games. They dig deep into the racial abuse levied at Lyle Thompson at the game Saturday between the Philadelphia Wings and #Georgia Swarm. 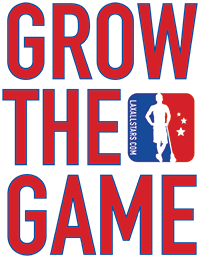 A full recap of Week 5 in the National Lacrosse League. Our first guest is Shawn Evans, a forward with the Buffalo Bandits, the Peterborough Lakers and Team Canada. Second up is Dangerous Dan Dawson, a forward with the San Diego Seals, coming off a victory in their first ever home game, that you won’t want to miss. Then we wrap it up with another round of #WhoYaGot, with seven games coming up on the schedule this coming weekend and there being a dead heat in the standings. Plus, there are some shout outs and discussion about a potential future tournament in Bermuda.